Friday, I took the day off. I needed a break and the girls needed some mom time. They also needed haircuts. 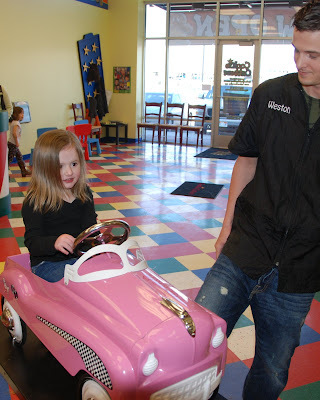 As soon as Jade got home from school, we packed up and headed out to Cookie Cutters to get a trim. Ashlee and Weston were fantastic with each of the girls. 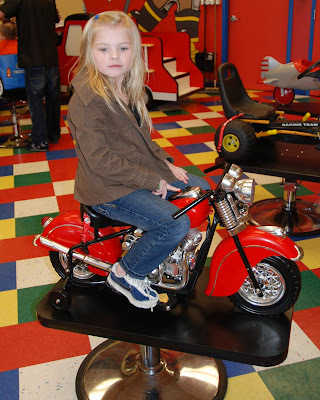 Jade picked the motorcycle and watch Scooby Doo. She really didn't want a haircut and was worried about how much we were going to cut off. She was begging for 1/2 an inch but we ended up doing about 2 inches. 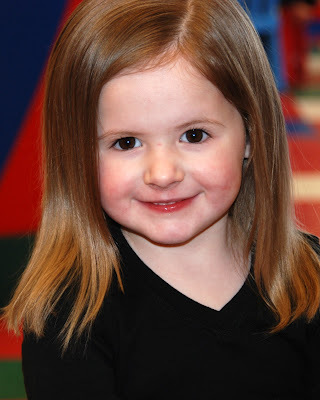 She was happy and adorable once Ashlee finished up with her. Ivy picked the pink car (no surprise there) and she watched Barbi Princess and the Pauper. 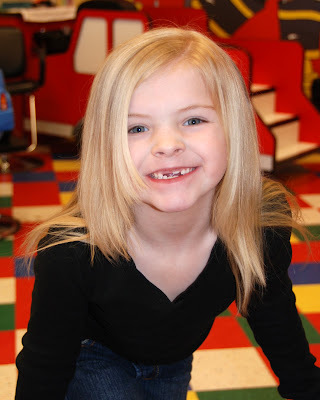 She wanted her hair cut clear up to her scalp, but was okay with just 2 inches. Cookie Cutter does a lot of great things to help put the kids at ease and also make it a little easier on the parent's pocketbook. When you walk in there is a jungle gym with a slide, on the wall there is a game console and then the chairs are all different vehicles. While the kids are getting their hair cut they can watch a movie or play playstation and when they leave, they get a balloon and a cute cookie cutter. Now, for the parents, they give you a coupon book. The first haircut is 4$ off, the second is 3$ off and the third is 2$ off. They also have a product of the week that they discount, plus the kids get 2$ off if they get their hair cut during the month of their birthday. I was very impressed with the staff. This was our second time going to a Cookie Cutters. The first was five years ago in Louisville. 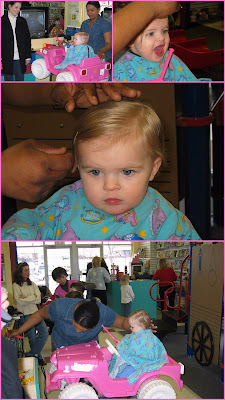 They do a nice job on a child's first haircut. They do a scrapbook and a little bag with hair from their first cut. I am happy to report that the service was great in Utah and Kentucky. 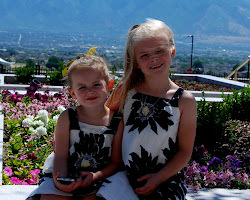 (Notice Jade's identical expression 5 years ago).